Today I’m toasting a remarkable piece of craftsmanship, a modern day marvel which could have been created back in the Renaissance. 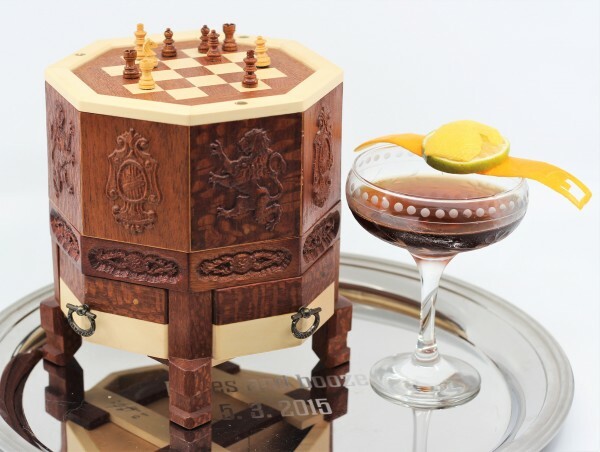 The beautifully carved pedestal features a chessboard on top. Turning the pedestal causes the chess pieces to move, by themselves, as if by magic. If either side achieves a “checkmate”, a secret drawer will open. I’ve paired this masterpiece with a cocktail which references another Renaissance masterpiece, a colossal painting by the Dutch master Rembrandt. 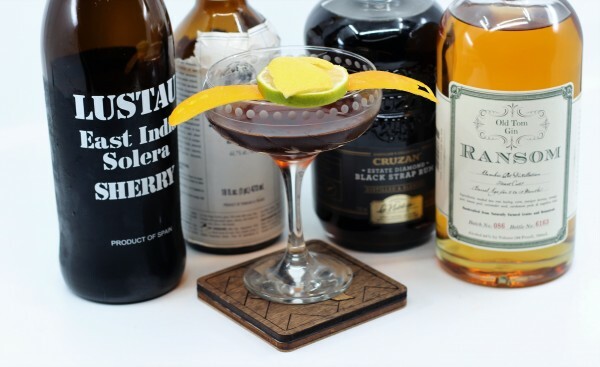 Which brings us to the “Night Watch” cocktail by New York’s Jessica Gonzalez, an award winning mixologist who gained fame at Death and Company where she created this delicious and satisfying night cap. It starts with a base of Old Tom gin, an old style of gin which bridges the gap between the original Dutch genever (the forerunner of modern gin, with a heavily malted composition) and dry London style gin. This gives the drink a mellower gin flavor which lets the other components shine through. 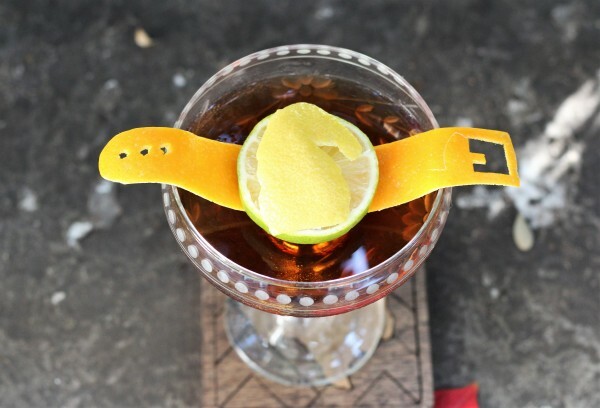 These include the delicious East India Solera sherry and the potent Cruzan Black Strap rum. Flavors of molasses, raisin, juniper and spice mingle for a very special sip. Aromatic or Angostura bitters are the perfect finishing touch. Here’s to clever castling, precise promotion, enigmatic en passant. Checkmate – cheers! Stir ingredients with ice and strain into a favorite glass. Garnish with a knight watch.